Unofficial UCB theatre schedule app for iPhone. I'm an improv fan and developer and I was surprised that there wasn't a good mobile app to check the UCB show times and schedule, so I built one. It was just released today and I would love to get some feedback from you guys. DM me if you would like one. I'm also keen to hear feedback in general on whether you think this is a useful app or ways i could improve it. 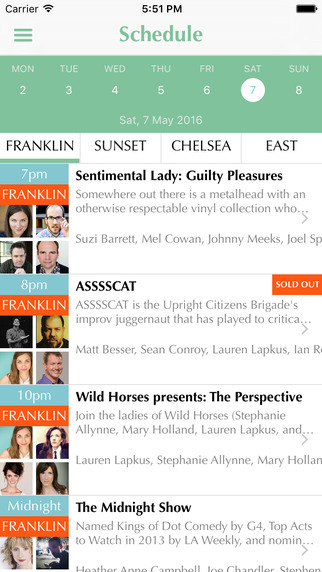 Re: Unofficial UCB theatre schedule app for iPhone. What a great idea. That sounds awesome. Would love to test drive that bad boy.